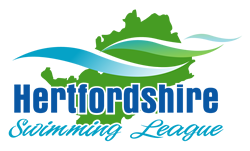 We are delighted to inform you that you have been selected to represent Potters Bar Swimming Club (Blue Team) in the final round of the Herts Major League on Saturday 23rd March 2019. This is the 3rd and final round and selection for this event is in accordance with the PBSC Selection policy. We go into this last leg in a position of 3rd in the Div 1 league - behind Watford A and Hatfield which is really good! Please do try and make it if you've been selected as we want the strongest team possible to make sure we finish well. Warm up is 6.30 for a 7.00pm start. Please arrive by 6.15pm. Can we ask all swimmers to confirm their availability by editing commitment on TU please by Wednesday 13th March at the very latest. Early replies are always appreciated as if you are unable to swim we need to select other swimmers. Please follow this link for more information about the Herts Major League . Emily Clarke, Jasmine Pereira, Sophie Taylor, Isabel Feeney, Lilly Blount, Dayna Shepperson, Emily Taylor Sanders, Olivia Kavanagh, Jess Heesom, Tess Aiteouakrim, Emily Lush, Georgina Tallon and Kelly Sanders. Please remember that it is the Clubs policy that you must wear a PBSC Hat and T-Shirt when representing the Club. These items are available from Brenda Heesom our Kit Manager who can be located on the balcony most Friday evenings. Lastly can I ask that all swimmers remain on poolside until the coach tells them to go and change. It allows the team to hear where they have come at the end of the event and to celebrate the evening's performance. Congratulations on your selection and we hope you enjoy the event as much as we do!